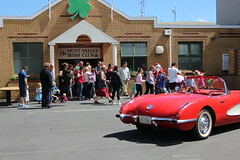 The Hutt Valley Irish Society is a small, voluntary, community group. Members are either Irish-born, or New Zealand born of Irish descent, or interested in a connection with or promotion of Irish culture in our local community. We own our own premises in the heart of Lower Hutt. Use these pages to find out what we do, and how we fit into the wider Hutt City & Irish community.